Without a whole lot of concrete information regarding the Samsung Galaxy S5, much of what we do know about it comes from leaks and rumors. A new set of leaks has come out based around a set of benchmarks which appear to show that Samsung is focussing on speed, power, and specs with the Galaxy S5 instead of new features. The benchmarks show a device with a Qualcomm Snapdragon 800 processor and a 16 megapixel camera with a 5312 x 2988 pixel shooting resolution. It had previously been reported that the Galaxy S5 would miss out on the Snapdragon 805 processor since that chip is not due until later this year, making the 800 an obvious choice. While some of the spec improvements that have been prevalent in many rumors seem to be confirmed by the leaked benchmarks, certain aspects of the phone will not receive the same upgrades that people had expected. 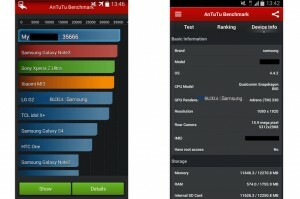 Many rumors had stated that the Galaxy S5 would include a 2K display but this AnTuTu benchmark has revealed that the smartphone includes a 1080p Full HD display instead. When it comes to the benchmark itself and the performance suggested within it, the Galaxy S5 seems to nudge out the Galaxy Note 3 and other powerhouse phones like the Sony Xperia Z Ultra. So, even though the specs may not live up to the rumors, the phone seems to be a worthwhile upgrade over the Galaxy S4 when looking at performance. Without any specs being confirmed or denied by Samsung thus far, it is impossible to say if the specs included in these benchmarks are legitimate. However, some aspects of the device, like the Qualcomm 800 processor do seem to make sense. Although we may not know what the Galaxy S5 will be like right now, Samsung has hinted that the release event for the flagship smartphone will be on February 24. 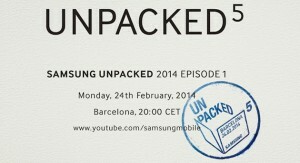 The Korean tech giant has sent out invites to the event which it dubbed “Unpacked 5” hinting that the Galaxy 5 will indeed be unveiled before the end of the month. 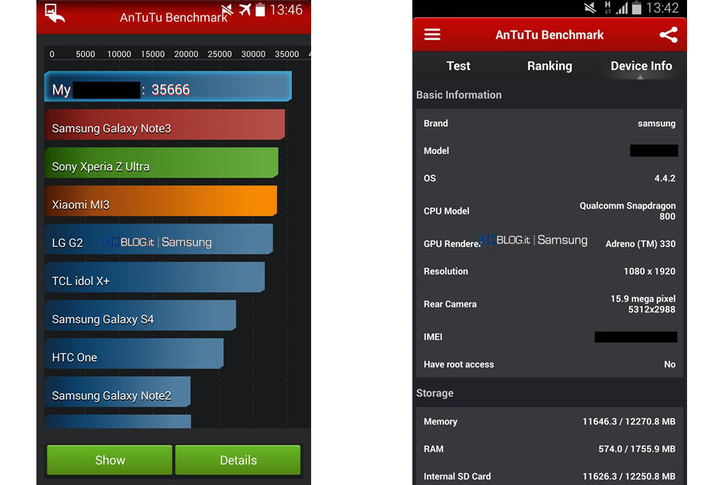 Summary: A set of AnTuTu benchmarks allegedly for the Samsung Galaxy S5 have been leaked. The benchmarks show that the S5 will include a Qualcomm Snapdragon 800 processor and a 16 megapixel camera. 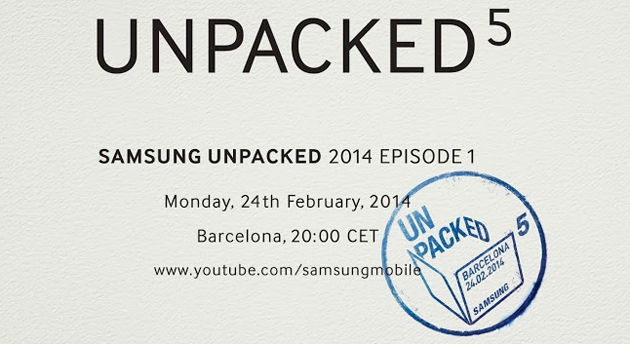 Samsung is set to officially unveil the flagship phone later this month.